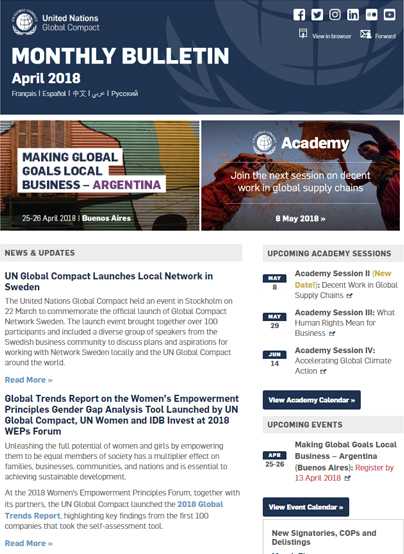 On 25-26 April, organized by the United Nations Global Compact and Global Compact Network Argentina, Making Global Goals Local Business – Argentina will bring together local and global leaders from business, civil society, Government, Global Compact Local Networks and the United Nations to catalyze collective action and impact on the Ten Principles and the Sustainable Development Goals (SDGs). Join the next UN Global Compact Academy session to learn strategies and best practices for ensuring decent work in supply chains with Guy Ryder from ILO. The United Nations Global Compact held an event in Stockholm on 22 March to commemorate the official launch of Global Compact Network Sweden. The launch event brought together over 100 participants and included a diverse group of speakers from the Swedish business community to discuss plans and aspirations for working with Network Sweden locally and the UN Global Compact around the world. Unleashing the full potential of women and girls by empowering them to be equal members of society has a multiplier effect on families, businesses, communities, and nations and is essential to achieving sustainable development. 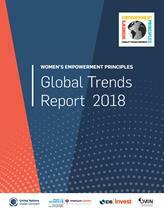 At the 2018 Women's Empowerment Principles Forum, together with its partners, the UN Global Compact launched the 2018 Global Trends Report, highlighting key findings from the first 100 companies that took the self-assessment tool. 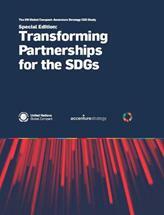 United Nations leaders see greater collaboration and partnership with the private sector as critical to progress on the Sustainable Development Goals (SDGs), according to a new study by the UN Global Compact and Accenture Strategy, Transforming Partnerships for the SDGs. Lise Kingo discusses how the core feature of the Global Goals is their interconnectedness, and that the key to unlocking those interconnections is human rights. 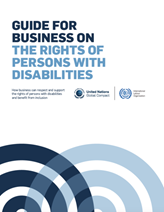 Read her latest update to learn four key ways businesses can centre human rights in their business activities. In celebration of International Women’s Day, over 60 stock exchanges around the world are joining the United Nations Global Compact, Global Compact Local Networks and their partners to host bell ringing ceremonies in support of gender equality. Each of the “Ring the Bell for Gender Equality” events around the world encourages participants to scale-up efforts to improve gender equality in their markets by first adopting the Women’s Empowerment Principles (WEPs). Missed the first Session? Watch the recap here and share the video with your network on Twitter. Water challenges increasingly pose a significant risk to both business and society. This risk is only expected to increase — by 2025, two-thirds of the world’s population will be living in water-stressed areas. The UN Global Compact Water Security through Stewardship Action Platform will push the needle forward on cutting-edge thinking and multi-stakeholder collective action that demonstrates impact for water security. → Click here to share on Twitter that business can take #WaterStewardship action! 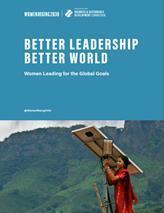 The Women’s Empowerment Principles Gender Gap Analysis Tool (WEPs Tool) is a business-driven online platform designed to help global business leaders identify strengths, gaps and opportunities to improve gender equality and women’s empowerment in the workplace and within the markets and communities they serve. Global Compact Network Japan (GCNJ) launched the “Tokyo Principles for Strengthening Anti-Corruption Initiatives” and “Anti-Bribery Assessment Tool.” Both were developed through the local implementation of the Siemens Integrity Initiative (SII) Anti-Corruption Collective Action project, managed by the UN Global Compact together with the Basel Institute on Governance.